Seriously Australia, don't you know Lamborghinis are supposed to be loud? Everyone knows that Lamborghini cars are loud, right? Apparently the Australian police didn't get the memo. Mark Trueno, the owner of a green Huracan, was pulled over by the police at the Normanby Hotel in Brisbane, Australia. He was fined $376 AUD ticket for making "unnecessary noise" in his expensive supercar. We thought that this was ridiculous because a supercar like the Huracan is just naturally loud. We know how good the exhaust on a Huracan can be, and whether it's idling or pinned at full throttle, the car is just going to be loud no matter what. 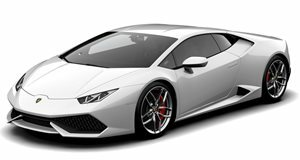 Luckily, a Brisbane Magistrate sided with the Huracan owner and overturned the fine. The owner's lawyer argued that it was "too easy for police to just throw random accusations and allegations against drivers." Witnesses were even called in for this two-day hearing including a representative from Lamborghini Brisbane. The representative described the Huracan's exhaust as "beautiful music." Even though this case cost Mr. Trueno $1,500 AUD, he explained that it was more about principle. "I'm pretty glad that the Magistrate sort of saw through what the police officer was saying," said Trueno also adding that "sometimes it's not about the money, it's about making sure that you stick to your principles." We guess when you have the money to buy a Lamborghini, you can afford to be proven right.